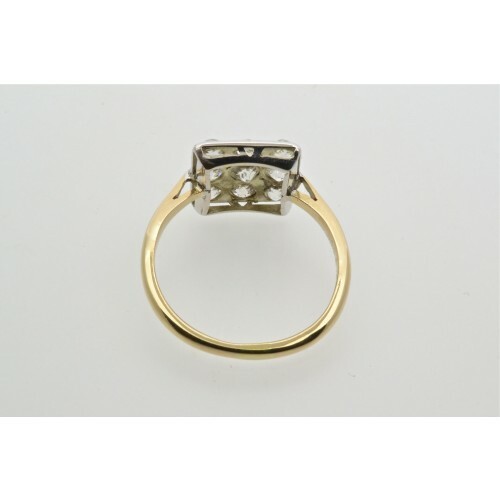 18 carat yellow and white gold checker board diamond ring. 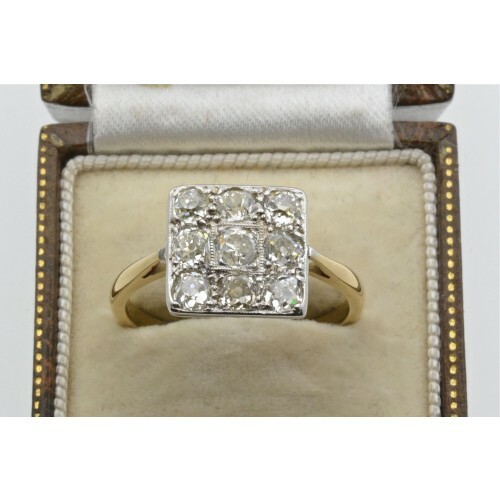 Antique checker board diamond ring, having 9 antique old cut diamonds weighing approx. 1.2 carats, I colour, SI clarity, in a square milligrain setting. 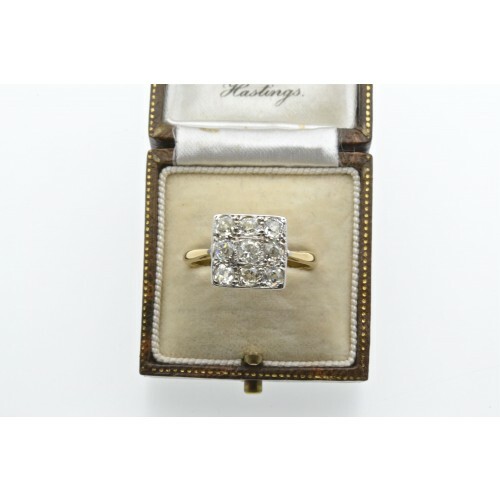 The head of the ring is 18 carat white gold and the shank is 18 carat yellow gold. 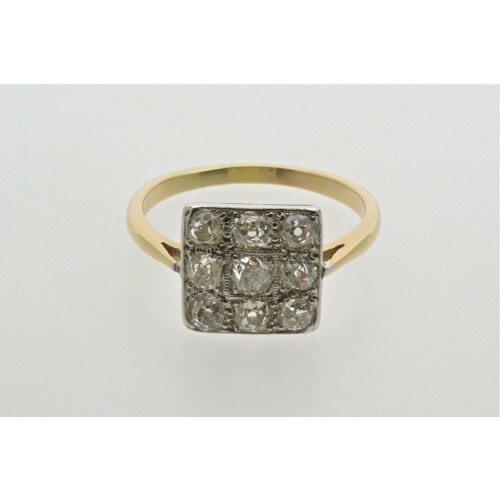 The ring sits extremely flat on the finger, made for ladies who wore gloves. Circa 1920.